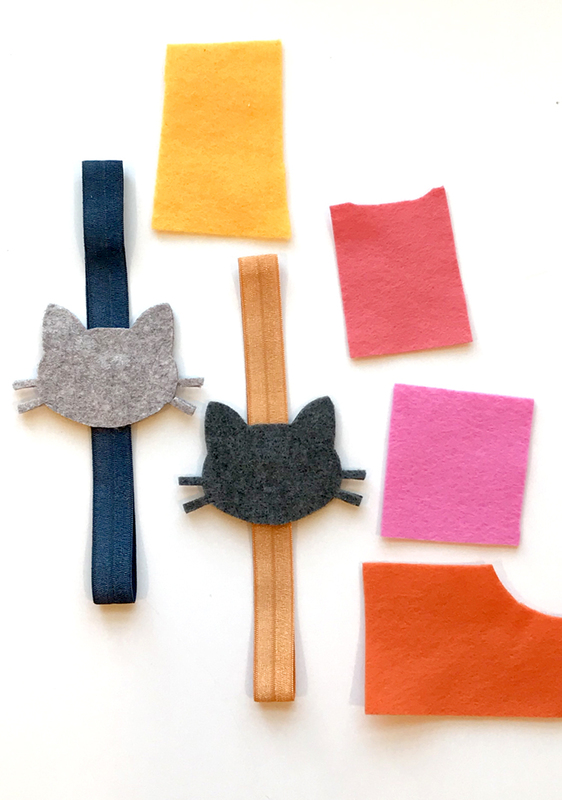 These Felt Cat Bookmarks are a quick and easy craft for kids that can be made in just 15 minutes, and they’re a great way to use up leftover felt scraps! 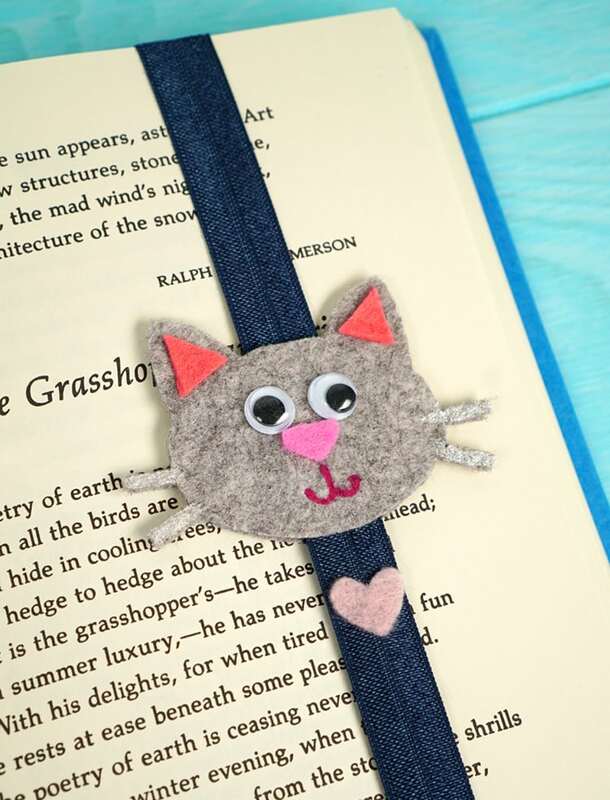 Customize your kitty bookmark to look like your favorite feline friend! 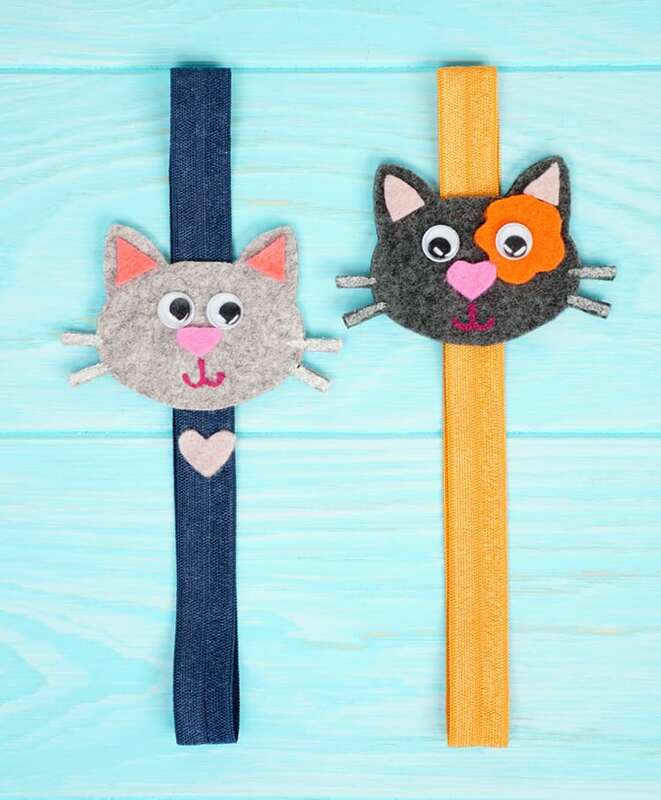 My two younger boys share a deep love for two things – reading and CATS – so when they asked me to come up with a kids craft project idea for them one rainy day, I knew that these felt cat bookmarks would be a huge hit! Better yet, they can be made in under 15 minutes using just a few basic craft supplies! I admit that I’m not the greatest at cutting felt shapes out by hand, but luckily my Cricut Maker machine cuts felt like a dream! 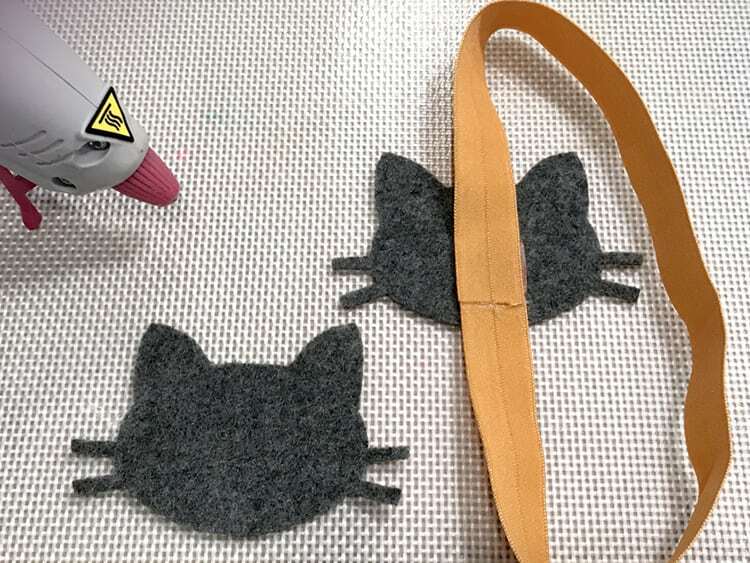 I quickly cut out four felt cats to serve as the base of their bookmarks (you’ll need two pieces for each bookmark). 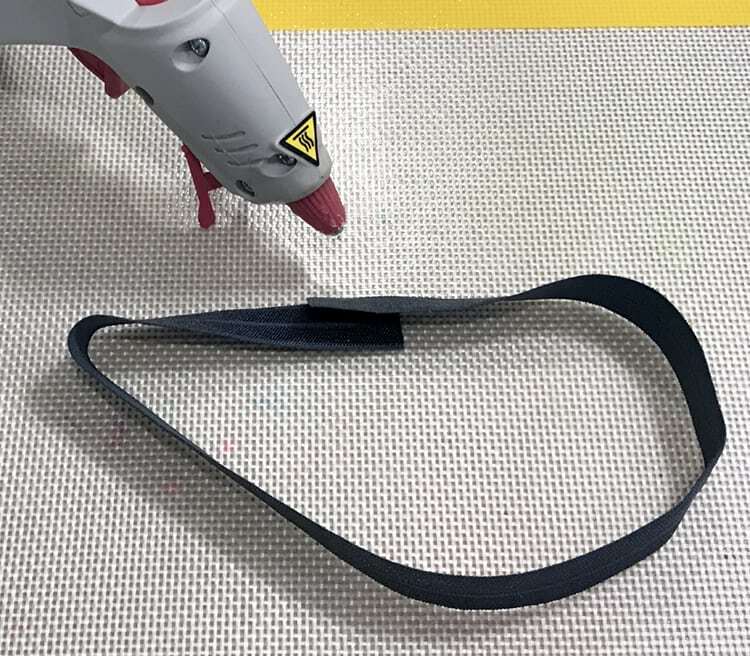 Use the low-temperature glue gun to create a ring with the elastic, overlapping the ends by around 1″. Allow to cool. 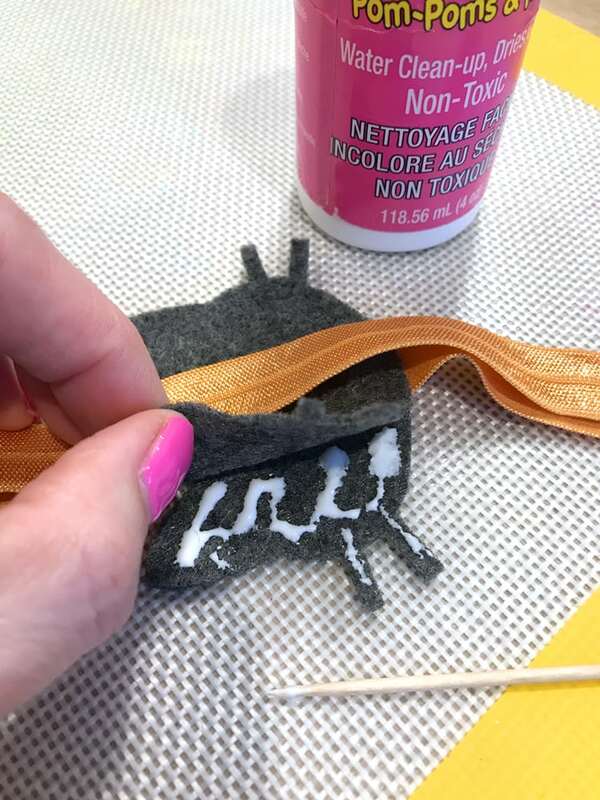 Glue the felt cat to the elastic, making sure to cover the seam. 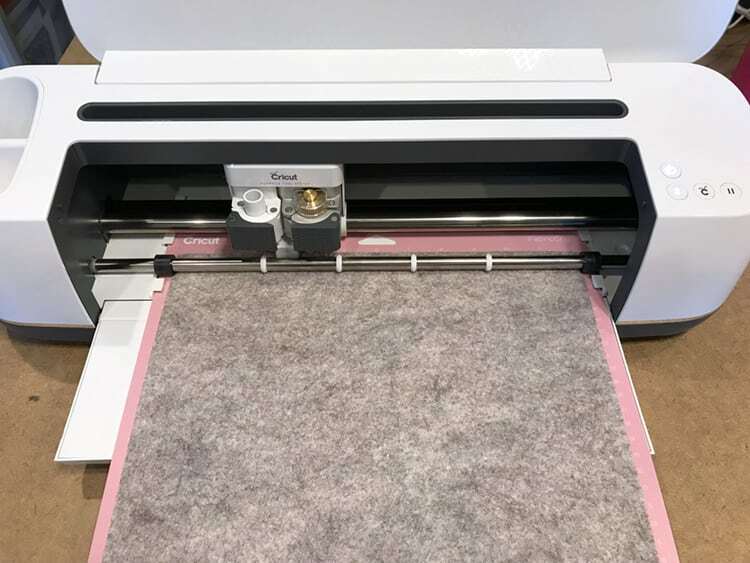 Glue the second felt cat to the opposite side of the elastic. 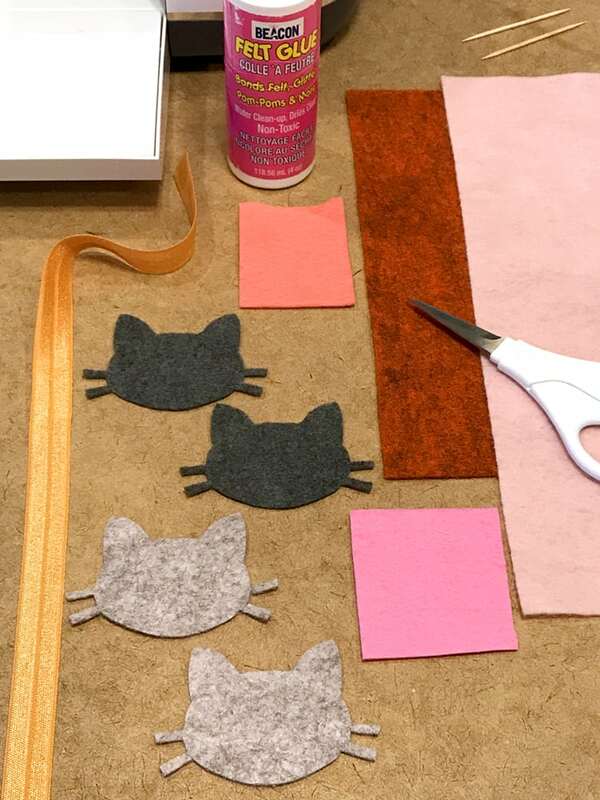 Use felt glue to adhere the edges of the felt cats together. Use felt glue along with felt scraps, googly eyes, rhinestones, etc. to embellish the cat bookmarks. My kids liked the way that the googly eyes looked more than felt eyes, so that’s what they went with, and they used acrylic paint to add the mouths and some sparkle to the whiskers. Super cute and easy peasy! The kids are loving their felt cat bookmarks, and my youngest is saving his special new bookmark for use ONLY in his favorite Garfield comic books! 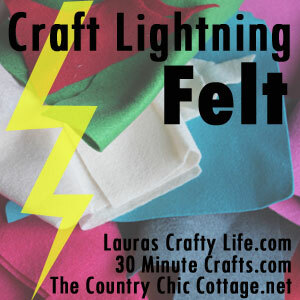 Don’t forget to check out these other great felt projects that can be made in under 15 minutes – just click the graphic above! 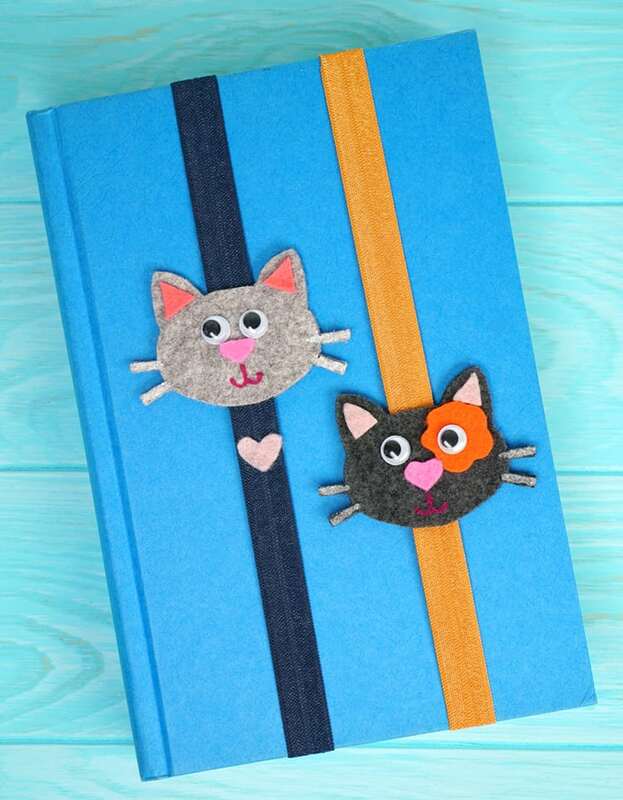 Pin the Cat Bookmark Craft for Kids for Later! These may be the cutest thing ever!! 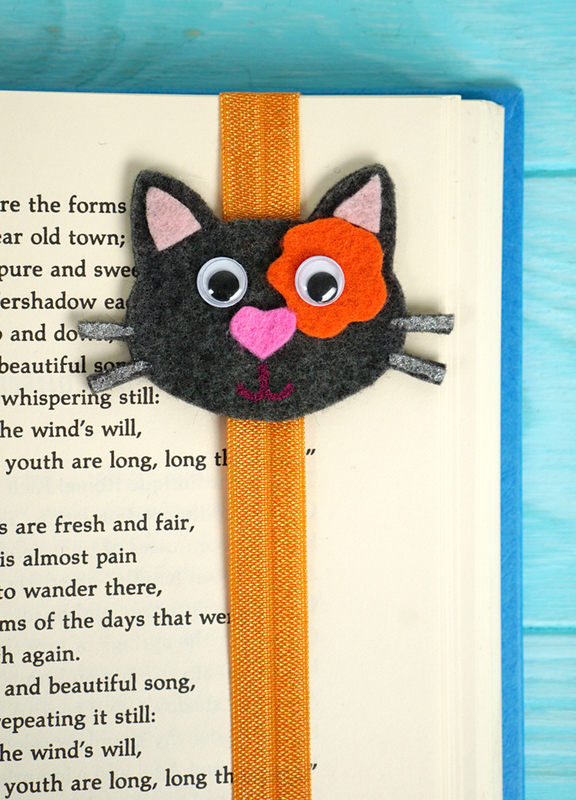 These cat bookmarks are super adorable!